Resorts World Convention Centre features the region's largest column-free ballroom and 35 function rooms. Together with their state-of-the-art facilities and dedicated team of planners, as well as a burgeoning list of culinary award-winning and Michelin-Starred Celebrity Chef restaurants, one can be assured of a memorable event. 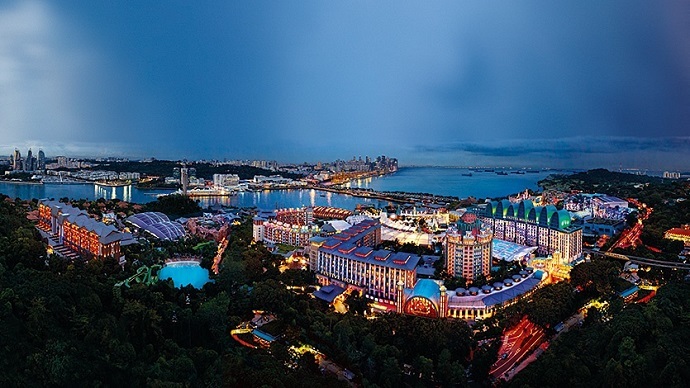 Resorts World Convention Centre offers direct access to 6 unique hotels and 4 world-class attractions: Universal Studios Singapore, S.E.A Aquarium, Dolphin Island and Adventure Cove Waterpark. Foreign attendees to the Phar-East 2020 will enjoy preferential rates at official hotels arranged by Terrapinn. Resorts World Convention Centre only a 25-minuted ride away from Changi Airport and 10 minutes from the Central Business District. It is conveniently connected to all parts of the island via an extensive network of public buses, taxis and subway trains (MRT).